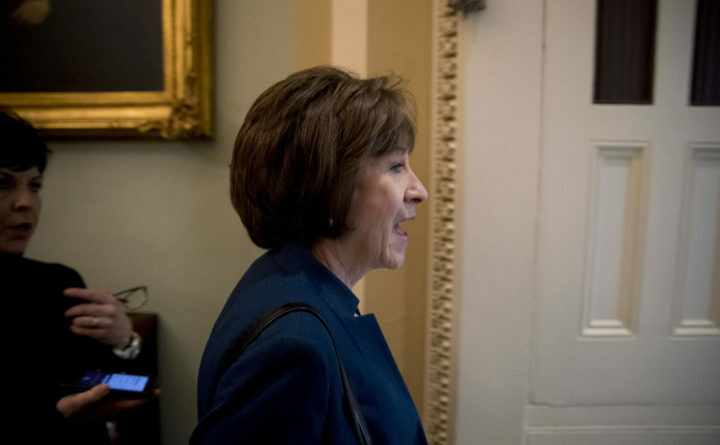 Sen. Susan Collins, R-Maine, speaks to reporters as she walks into a closed-door meeting with Senate Republicans on Capitol Hill in Washington, Friday, Jan. 25, 2019. But in his dissent he said otherwise. Kavanaugh acknowledged that a decision striking down a similar Texas law is the guiding precedent and he seemed to suggest he might be willing to vote the other way with more information.